Lake Forest hosts game night for special needs community ! The city of Lake Forest is hosting a Special Needs Game Night from 6 to 8 p.m. Friday, Oct. 27 at the Lake Forest Sports Park. The city holds a number of events for the special needs community, including dances and other recreation activities, throughout the year. The game night will include board games such as Disney Guess Who, Giant Jenga, Battleship and more. Participants can also make special spooky crafts for Halloween. Where: Lake Forest Sports Park, 28000 Rancho Pkwy. Cost: . . . . Free . . . .
Mega sports park to break ground Tuesday in Colorado ! 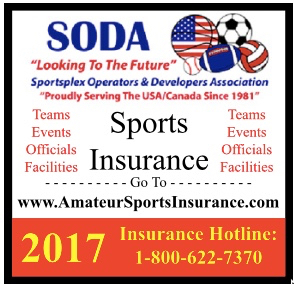 Loveland, CO. – The developers of Rocky Mountain Sports Park, a vast baseball and softball complex in north Windsor, will announce major partnerships during a groundbreaking ceremony at 1 p.m. Tuesday, according to a press release. The 68-field, 490-acre destination facility at the southwest corner of Harmony Road and Colo. 257 will feature a centerpiece stadium, dorms, indoor practice areas and training facilities for baseball, softball, soccer, lacrosse and football, the release said. The development also will have hotels, restaurants, shopping and health care. Rocky Mountain Sports Park, 7775 Weld County Road 74, will have artificial turf on all its fields, according to the website rockymountainsportspark.com. Play is expected to begin in 2019. The complex will be built by 4 Square Construction and Management in Wyoming. City of El Paso approves funding plan for east side sports complex ! El Paso, TX – It’s a first for the city. 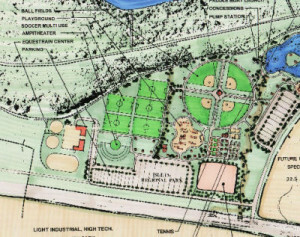 An interesting funding plan for the expansion of an east side sports park has been approved by city council. The park in far east El Paso at Montwood and John Hayes street is already under construction. It will have 18 flat fields, bike and hiking trails among other amenities. 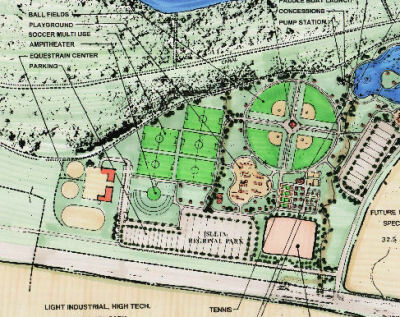 People ABC-7 spoke with are excited knowing an 80 acre sports park is being constructed in their area. Some say they like the funding plan, others don’t like some of the stipulations that come with it. “We have some small pocket parks out here but we don’t really have large parks. In fact we don’t have any large parks,” Dr. Michiel Noe said in a 2016 interview with ABC-7. ABC-7 interviewed him right after breaking ground on the park. When completed it will have 18 fields that can be used for soccer or football. The park will also have walk and bike trails, a playground and exercise equipment. “People that I know in this area they mostly play soccer,” Ricardo Rivero said. Rivero is a UTEP student and avid soccer player. ABC-7 interviewed him holding his cleats in one hand and soccer ball in the other. Rivero likes the idea of a sports park in his neighborhood. “Some parks are crowded. There’s a lot of people and you have to wait until some teams are finished practicing so another team can jump in and practice,” Rivero said. The cost of the park will be around $21 million. $10 million from the 2012 quality of life bonds will help pay for the park but the city approved two funding methods to pay for the rest. The city created a public improvement district or PID. People who will live in the neighborhood that is currently undeveloped and adjacent to the park will pay about $200 a year for 15 years and they will have free access to the park. The city also created a tax increment reinvestment zone or TIRZ. A portion of the taxes people pay in the designated area will stay in the neighborhood but there’s a catch: People under the TIRZ, and anyone else that wants to use the park, will have to pay an entrance fee. “I don’t agree with the park being only for games and you have to pay to go in. Other parks are free, they can practice and still play games,” Rivero said. Construction for phase one of the park has already started. It’s expected to be completed in December. Phase two should start by February of next year. 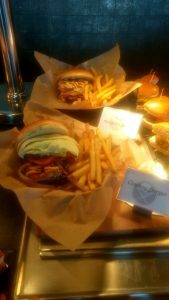 Best New Concessions Experience: Miller Park – Milwaukee, WI ! With an overhaul of food and beverage operations at Miller Park in 2017, the Milwaukee Brewers and Delaware North Sportservice went full Sconnie with a slate of new offerings and concourse layouts. For these upgrades, we’re awarding Miller Park the 2017 Ballpark Digest Award for Best New Concessions Experience. 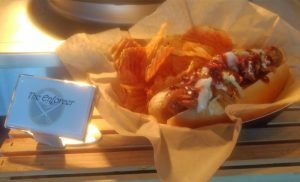 For 2017, the Brewers and Delaware North Sportservice embarked on a $20-million overhaul of Miller Park food and beverage concessions, upping the local offerings while tearing out existing concession stands and installing new ones—the biggest changes to Miller Park since it opened in 2001. The new Field Level First Base Ward and Third Base Ward spaces were remodeled and the concessions upgraded. In many ways, it was a simplified approach to Miller Park concessions, with many portable stands removed. The large concession stands on the Field Level (the main 360-degree concourse level) that formerly blocked views of the game were replaced by beverage stands with beer (including a wide selection of microbrews), mixed drinks and cocktails. Specialty stands featuring AJ Bombers fresh burgers, Klement’s sausages and brats, cheese curds, hot chips topped with bratwurst, built-to-order street tacos, frozen custard, Smoke Shack BBQ and more are now located to the side of the concourses, allowing for a better traffic flow on the Field Level. 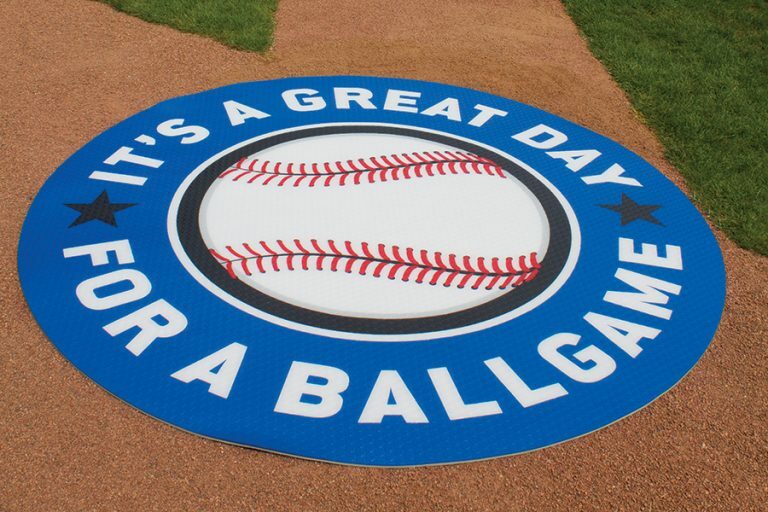 Other changes, including the installation of new dedicated stands, were also made throughout the ballpark. That meant more partnerships with local vendors: AJ Bombers fresh burgers, all-new/all-natural sausages prepared for Miller Park by Klements, Zaffiro’s pizza, freshly prepared frozen custard, a wider selection of Wisco microbrews (including regional favorites from Green Bay, Madison, Milwaukee and Chippewa Falls at a Loge Level stand) and, of course, the quintessential local cocktail: a Korbel Brandy Old Fashioned, served sweet, of course. Yes, you can still get your basic hot dog, Secret Stadium Sauce and Miller High Life at the ballpark, but now you purchase an all-natural Klements sausage and a Badger Club Amber or a Riverwest Stein. That meant more prep work onsite. For instance, the partnership with Smoke Shack and parent Hospitality Democracy led to in-house smoking and the use of all-natural, antibiotic-free pork and beef. In all, concessions staff smoked 1,000 pounds of pork and beef for game days. Similarly, with all the burgers prepared fresh, even more prep work was added for 2017. This award represents a change for how we’ve covered food in the annual Ballpark Digest awards. In the past, we’ve recognized individual food items, and we’ll continue to recognize individual dishes as a separate category. But with food such an important part of the professional baseball experience these days, it makes sense to recognize overall programs. In the case of Miller Park and executive chef VanderLaan, the food program includes the fan-facing spaces as well as player meals, prepared in consultation with the team nutritionist (“our goal is better performance for players, so we fuel their bodies—and, obviously, the meals need to taste good,” VanderLaan says). For the Brewers front office and Delaware North Sportservice, the goal to elevate the total fan experience. According to VanderLaan, Brewers fans can expect more changes for 2018. The Brewers and Delaware North Sportservice hit the four major Wisconsin food groups in 2017—beer, cheese curds, sausage and frozen custard—but there are potentially a few more unique offerings on tap. “We have some things in the works with local ties,” he said. If You Build It… Up-to-Date Sports Facilities Aim to Bring Back Crowds ! On the last night of August in 2013, Bishop Sankey of the Washington Huskies scored a touchdown on a one-yard run, eight minutes into the first quarter. They were the first points scored in the University of Washington’s (UW) new Husky Stadium in Seattle, which was celebrating its opening night after a $280 million renovation. The Huskies would go on to rout high-ranked Boise State by 32 points that night. And the sold-out crowd of nearly 72,000 loved it—not just the decisive victory over an arch-rival, but the new stadium itself. Institutions of all sizes have been experiencing a drop in live-game attendance in recent years, particularly among students. And yet, they’re spending money in record amounts to renovate or build new competition and training facilities, willing to gamble that upgrading and enhancing the user experience will translate to more fans in the stands. And in many cases, it has. Some studies and surveys have suggested that these days, college fans desire a more sophisticated game day experience, whether that means simply upgrading restrooms and concession areas to adding more comfortable seats to installing better technology like Wi-Fi and cutting-edge video boards and sound systems. Indeed, many fans are streaming videos, chatting with friends or even live-tweeting the game. There are even mobile apps to track the shortest lines at the restrooms or concession stands, or order food from your seat. “More or less now the smartphones are used for being social, for being connected while you’re at an event. And the ability to wander around and meet your friends in the club area or wherever—there tends to be a lot more freedom,” Fatovic said. Of course, all of this wireless service requires a large amount of bandwidth. Retrofitting and installing IT pathways to existing structures can prove to be an expensive proposition. Therefore, from a design standpoint, it’s wise for new facilities to anticipate future innovations and include ample conduit channels. Levi’s Stadium in Santa Clara, Calif., provides Wi-Fi at up to 30 times faster than most other facilities, which was achieved by using more than 30 feet of fiber optic cable for each of the stadium’s 68,500 seats, adding up to more than 400 miles. In South Carolina, Clemson University’s football program has been very successful lately—winning the National Championship last season. And now they’ve unveiled their new training facility, the Football Operations Complex. The HOK project features many amenities, including a barbershop, mini-golf course, movie theater, bowling alley and gaming lounge. 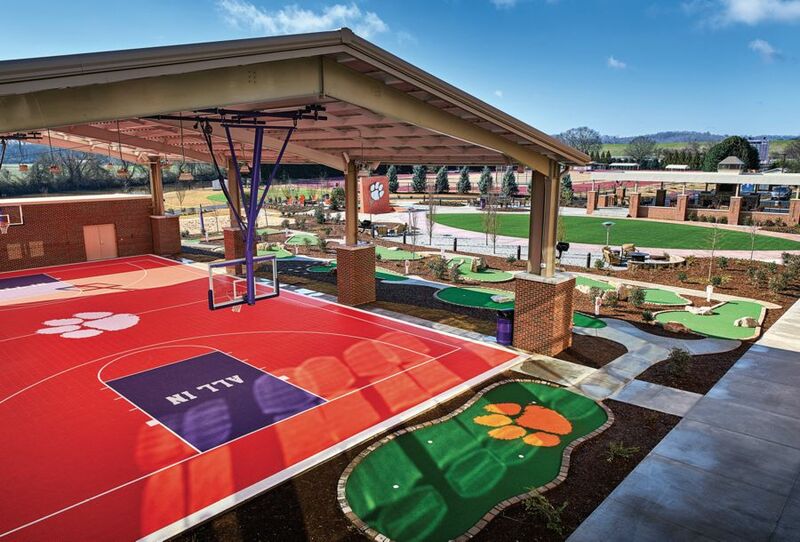 There are basketball, volleyball and bocce ball courts, a laundry room, meeting rooms, a recruiting war room, and a dining facility. For training advantages, there’s a plunge pool, weight room, steam room, recovery rooms, a nutrition center and Gatorade fuel bar. Bechtold and Appleman said there’s a big focus lately on creating a healthier student-athlete all round, and the facility has things you didn’t see in the past, like the nap room. 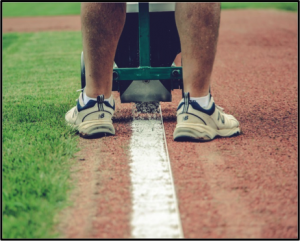 “The focus is creating that rested athlete to where they can have a better baseline to start at and there’s not as much recovery. There’s more ‘pre-covery’ you might say, getting proper sleep, diet and nutrition.” And it’s not just training and recovery, but everything from motion capture to biomechanical and neuromuscular assessments. 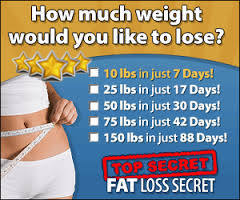 Fatovic agreed, saying that monitoring the body’s performance is a big trend, through the use of impact breathing resistance, heart-rate monitors, and other high-technology methods. Many feel that UW’s Husky Stadium sits in the most beautiful setting in college football. Built in 1920 on the shores of Lake Washington, it features stunning views of the Cascade and Olympic Mountains. Fans can even arrive by boat—up to 140 boats can dock less than 100 yards from the stadium. But the stadium was suffering from age, with cracked concrete and exposed rebar. Premium seating includes six suites and 60 club seats on the field level, and 30 suites, 2,500 club seats and 30 loge boxes on a dedicated club level. Bechtold and Appleman related how premium offerings used to be pretty simplistic; you had club seats and suites, and the rest of the seating was mostly the same. Or you paid a little more to be on the 50-yard line or at mid-court. Erickson also said that concessions and souvenir sales are steady revenue-generators, and they’ve certainly evolved through the years. Fatovic explained that people are looking for more of a restaurant vibe, wanting to see their food being prepared, with the grills up front. “They don’t want it pre-packaged, and they want more choices. Menu boards are mostly electronic, so they can easily change menus or pricing for an event. People want the game on a TV by the concession stand, and when you go into hospitality areas, they want coffee stations and different specialty foods. Food service is becoming a big deal in venues.” Fatovic added that jerseys and other souvenirs are also becoming higher quality. Another thing facilities strive for is flexibility—creating multiple uses for their venue. Features like retractable seating and portable floors can help achieve this goal. The University of Maryland, Baltimore County (UMBC) Retriever Event Center is a CannonDesign project, slated to open early next year. 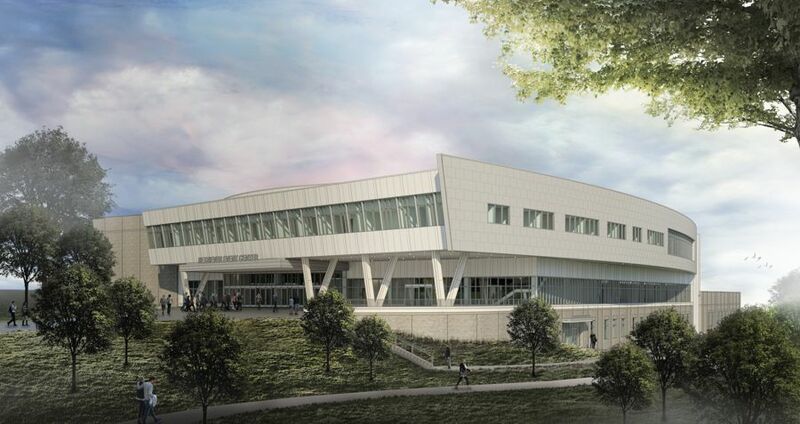 The 172,000-square-foot facility will host UMBC NCAA games for men’s and women’s basketball, and women’s volleyball. It will also provide space for events such as concerts, banquets, speakers’ series and commencement. There are 5,000 seats in the bowl and around 1,000 on the floor, with spectator amenities including concessions, catering and hospitality. “UMBC Arena is more than an arena; it’s the athletic department, sports medicine, academic services, strength and conditioning. The multipurpose nature of the venue is important for student life,” Fatovic said. 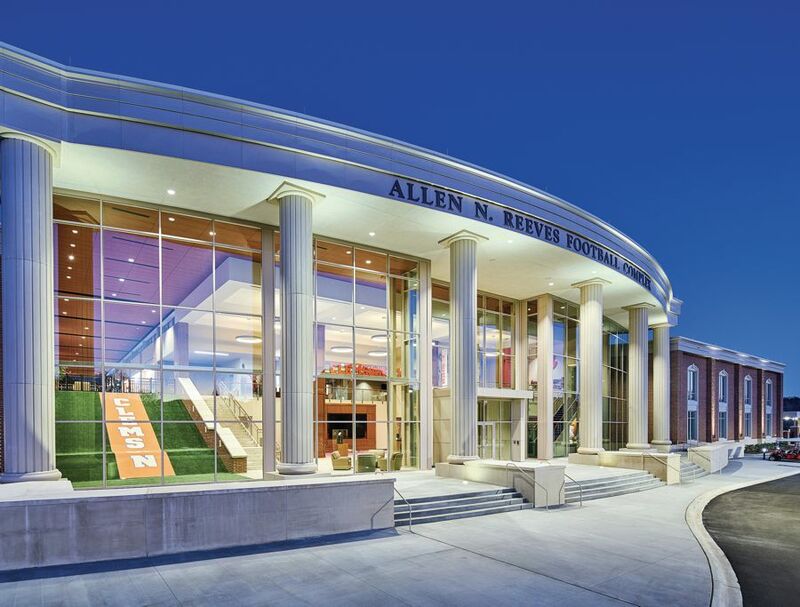 Additionally, part of the renovation included a new Football Operations Center with locker rooms, meeting rooms, training rooms, and coaching and administrative offices. Plus, a retail component and the University of Washington Sports Medicine Center are open to the public, promoting year-round activity within the stadium. And what about safety and security concerns—are these areas getting more attention lately? Bechtold and Appleman said absolutely—that it’s critical to understand Homeland Security recommendations for these bigger assembly spaces. They explained how training facilities are even exercising tighter security measures these days, mentioning the Clemson facility as an example—especially now that the Championship trophy sits in the lobby. 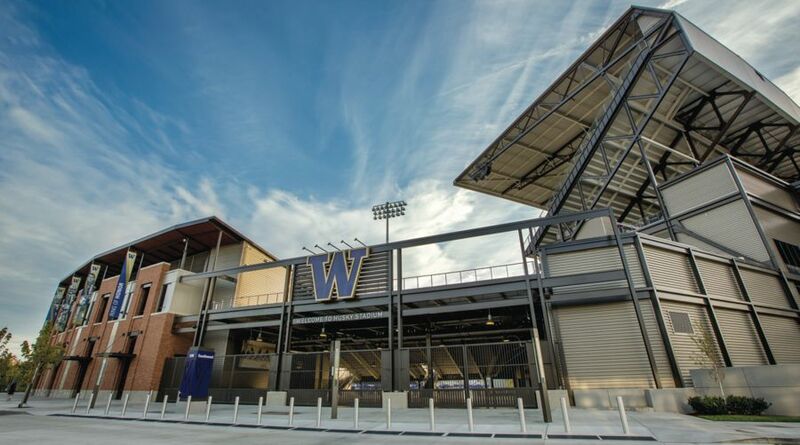 The LEED Silver-certified Husky Stadium also received Salmon Safe Certification through the Pacific Rivers Council, recognizing UW for its transformative land management practices, including pollution capture, storm water capture, reducing construction pollution, and maintaining a green infrastructure buffer. The upgraded stadium boasts a 40 percent reduction in water consumption, and the new design links the stadium with the new Sound Transit light-rail station—a popular transit service for Husky fans. Fatovic added that teams are also travelling with a lot more gear these days—for instance, the sports-medicine guy might travel with several crates—and that all needs to be stored somewhere. Another constant challenge is parking and traffic flow, entering and exiting an event. “Those are all things that people are paying close attention to in the site planning and site design of these facilities—making that first experience and that last one as good as they can be. That’s been one of the biggest challenges in our industry over the last several years is getting people to that event. If someone has a bad experience, they likely aren’t going to travel out and continue to take that on,” Bechtold and Appleman said. Moving forward, Fatovic believes facilities should cater to an older demographic as alumni age, pointing out that they don’t want to climb a lot of stairs, with some using walkers or scooters. Seats are becoming wider and more comfortable, and wheelchair areas are common. But they also need to consider the younger population, who demand the newest technologies and innovations, since they will hopefully be the future season-ticket holders. BEACON Ballfields Exclusive Weekly Tips ! 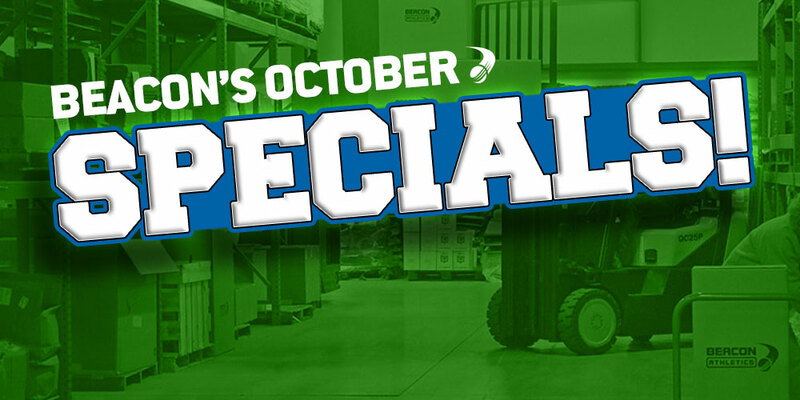 ( October ’17 ) ! It’s easy to think you’re making a sound financial decision when you purchase the cheapest product, but that’s because you’re only considering the short term cost. 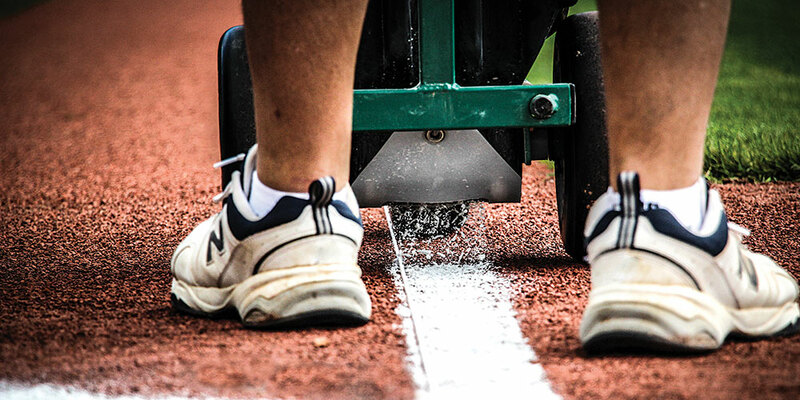 The impact a low-cost product can have on your grounds crew or on your field is eye opening. Often, when people see a big upfront cost, they shut down that product from further consideration — without doing their due diligence to see if it’s worth the price in the long haul. 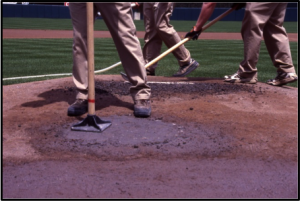 The Real Cost of Sports Field Maintenance Products ! 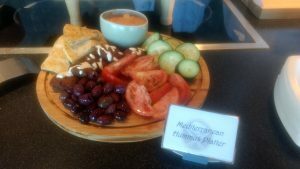 Sabres ramp up the culinary delights at KeyBank Center ! Anyone remembering the old days at Memorial Auditorium surely recalls three escalator rides to ferry up to the orange balcony seats way at the top of the building. And right there, steps off that escalator, was a long and narrow concession service stand lining the wall. The choices were popcorn, nachos drenched in cheese, hot dogs, soda pop, and beer. Sportservice was the concessionaire, and the food, to be polite, wasn’t all that great. Classic arena dreck was the appropriate description. How far the game day food experience has changed. Today it’s all about food. Ballpark food. Specialty items. Craft beer. Fine wines. Locally sourced products and ingredients. And of course, revenue streams for the host teams looking to greet their patrons hungry and then leave them satiated. This week, the Buffalo Sabres unveiled their updated concession lineup, in preparation for Thursday’s home opener against the Montreal Canadiens. The team has pulled all stops in presenting an exciting array of menu items, sandwiches, and upscale meal experiences to entice just about any fan at the game. “Ten, twenty years ago fans came to the game just to watch what was going on down on the ice. Now it’s so many other things, concessions, different beverages, arena entertainment. Now there’s so much in more coming to a game, the apps and social media, all that stuff. And the food being done by Sportservice is all a part of that,” explains Sabres Senior Vice President Mike Gilbert. Sportservice. That’s the food subsidiary behemoth run by locally headquartered Delaware North Corporation. That company is the concessionaire for literally hundreds of sports venues around the world, and Gilbert readily admits that the Sabres organization gleans ideas and information from peer arenas around the league to see what works and what is popular around the rest of the league. “It’s something we do all the time. Delaware North, they are the experts, they run around the world with their business. But we bounce ideas off them all the time to see what fits our fans needs and wants,” said Gilbert. Executive Chef Stephen Forman is the guiding hand overseeing the new creations, working with a team of sous chefs and culinary personnel, which translates into a small army. Forman wasted no time in rolling out some of his new creations that fans can expect to see on the concession marquees this season. “Our signature item is ‘The Enforcer’, an Italian sausage served on a Costanzo roll, topped with pulled Buffalo chicken, blue cheese slaw and bbq sauce,” said Forman. The new sandwich offerings are plentiful… taking the mainstay Buffalo bologna and onions to a new level is the Bologna Po Boy, served with slaw and Weber’s mustard. There’s Moe’s Hawaiian Burger, grilled pineapple, pickled jalapeno and red pepper, peppered bacon, American cheese and sriracha mayo. “We named it after the creator, Moe, who is one of our club level concessionaires,” said Forman. And this year, there will be a mac and cheese stand, offering the creamy concoction topped with a variety of choices, including bbq pulled pork or teriyaki meatballs. Fans on the club level will find a new concession area titled “Our Eats”, featuring food items with a Buffalo flair. On the menu are half a rotisserie chicken marinated in Chiavetta’s sauce, Buffalo chicken wings, pretzels dipped with Genesee craft cheddar beer sauce, and for the sweet tooth, Ru’s apple pierogi with caramel stout drizzle. There are unique food items staged in various other cities in their sports facilities. Mention Pittsburgh and the famed Primanti Brothers sandwich comes to mind. In Kansas City, it’s their barbecue. Florida has the Cuban sandwich. In Green Bay and Milwaukee, it’s all about their signature bratwursts and cheese. We already know that Beef on Weck and wings are Buffalo’s gastronomic gifts to the world. One tradition popping up on menus elsewhere which Buffalo refused to emulate was that signature monster sandwich. Some creative chef puts together a monster sandwich with eight or so burgers, slathers in five different cheeses, adds crazy ingredients like peanut butter and jelly, piles on the bacon, of course, and then garnished with lettuce and tomato so we don’t feel guilty–a belly buster containing 5000 calories. Add on a $35 price tag and the sports blogs have a field day. So this season raise a glass of craft brew, enjoy The Enforcer, and toast the old days of boiled hot dogs served up on stale buns. If the team on the ice is a good as the food offerings in the concourses and club lounges at KeyBank Center, come this spring we’ll be watching live hockey in May. 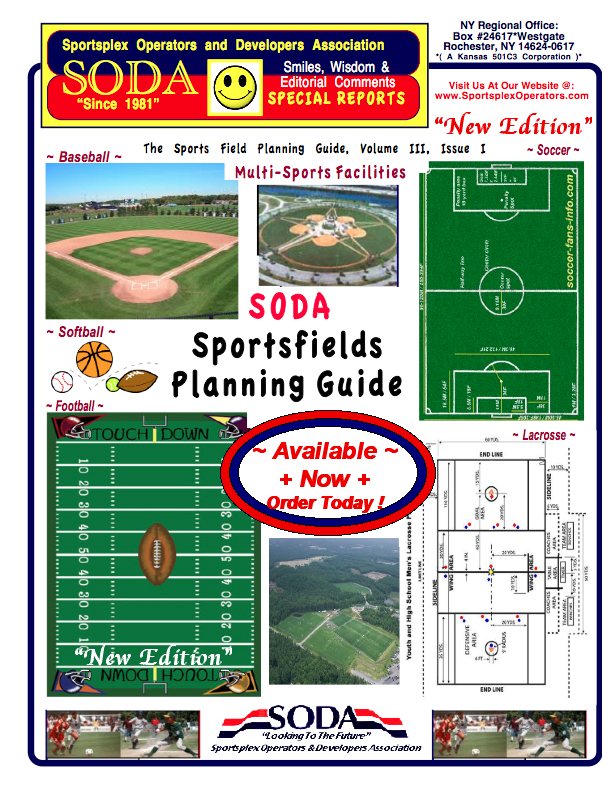 In our exclusive Ballfield Dimensions & Reference Guide you’ll find everything you need for how to layout your baseball diamond or softball field. From determining how much space you’ll need to tips for how to layout your field with regards to the sun’s angle at the time of day most games are played, we have answers. There’s also how-to’s and step-by-step information for things like setting base anchors or building a warning track. When it comes to figuring out your soil needs you’ll learn about soil tests, the various soil entities, and more. There’s even a series of time-saving calculators for estimating infield soil needs and how much soil is in your stockpile. This handy, colorful format of this printed version makes it a snap to see diagrams and measurement tables at the same time (see photos). You can take this critical info right out onto the field and have it all at your fingertips. 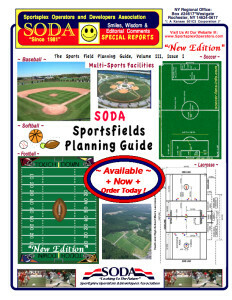 Get your copy today at: Ballfield Dimensions & Reference Guide or reference the online version at ballfields.com.